The United Mexican States, or simply Mexico, is a country located in North America, bounded on the north by the United States; on the south and west by the North Pacific Ocean; on the southeast by Guatemala, Belize, and the Caribbean Sea; and on the east by the Gulf of Mexico. The United Mexican States comprise a constitutional republican federation of 31 states and a federal district, Mexico City, one of the world's most populous cities . Covering almost two million square kilometers, Mexico is the fifth largest country in the Americas by total area and 14th largest in the world. With a population of almost 109 million, it is the 11th most populous country and the most populous Spanish-speaking country in the world. Mexico was the site of several early and extremely advanced civilizations, such as the Olmec, Mayan and Aztec. Modern-day Mexico shares a nearly two thousand mile border with the United States, and participates in the North American Free Trade Agreement (NAFTA) along with the U.S. and Canada. A picture of Mexico seen from space. After the independence of the vice-royalty of New Spain it was decided that the country was to be named after its capital city, whose original name of foundation was Mexico-Tenochtitlan, in reference to the name of the Nahua Aztec tribe, the Mexica. The origin of the name of the tribe is rather obscure. The Jesuit and historian Francisco Javier Clavijero argues in his writings that it derives from the Nahuatl word Mexitl or Mexitli, a secret name for the god of war and patron of the Mexica, Huitzilopochtli, in which case "Mexico" means "Place where Mexitl lives" or in other precise words: "Place where Mexitli temple is built" in reference to the Templo Mayor ("Great Temple"), this version is also held by Fray Juan de Torquemada; but Torquemada adds that Mexitli comes from the words metl ("agave"), xictli ("navel") and the early settlers took for themselves this name and they were called Mexicatl, this word finally derived in "Mexico," then, according to this version, it would mean: "People of Mexitli" or more literally: "Place in the navel of agave"; this last version is also supported by Fray Motolinia. Other historians like Fray Bernardino de Sahagun, Jose de Acosta, Fray Diego Duran, Antonio de Herrera y Tordesillas say in their works that "Mexico" comes from Mecitl or Mexi, which was the name of a leader and priest who guided the early pilgrims, these people were called Mexica, and therefore, this word means "People of Mexi." This leader Mexi, sometimes is also called Mexitl, but it should not be confused with the god Mexitli. Some experts like Alfonso Caso suggested that it derives from the words metztli ("moon"), xictli ("navel," "center," "middle" or "son"), and the suffix -co ("place"), thus it means "Place at the middle of the moon" or "Place at the center of the Lake Moon," in reference to Lake Texcoco at the middle of which Mexico City was built. This version is based on an Aztec legend which says that when the Mexicas arrived first time to Lake Texcoco, they saw the moon reflected on it. 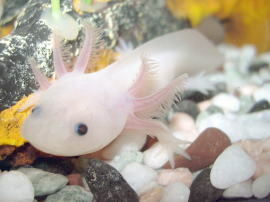 An axolotl or ambystoma mexicanum one of the endemic species of the lakes of the Valley of Mexico. Mexico is situated in the mid-latitudes of the Americas. Its territory comprises much of southern North America, or also within Middle America. Physiographically, the lands east of the Isthmus of Tehuantepec including the Yucatán Peninsula lie within the region of Central America; geologically, the Trans-Mexican Volcanic Belt delimits the region on the north. Geopolitically, however, Mexico is commonly not considered a Central American country. Mexico's total area is 1,972,550 km², including approximately 6,000 km² of islands in the Pacific Ocean (including the remote Guadalupe Island and the Islas Revillagigedo), Gulf of Mexico, Caribbean Sea, and Gulf of California. On its north, Mexico shares a 3,141 km border with the United States. The meandering Río Bravo del Norte (known as the Rio Grande in the United States) defines the border from Ciudad Juárez east to the Gulf of Mexico. A series of natural and artificial markers delineate the United States-Mexican border west from Ciudad Juárez to the Pacific Ocean. On its south, Mexico shares an 871 km border with Guatemala and a 251 km border with Belize. The Mexican territory is crossed from north to south by two mountain ranges known as Sierra Madre Oriental and Sierra Madre Occidental, which are the extension of the Rocky Mountains from northern North America. From east to west at the center, the country is crossed by the Trans-Mexican Volcanic Belt also known as the Sierra Nevada. A fourth mountain range, the Sierra Madre del Sur, runs from Michoacán to Oaxaca. 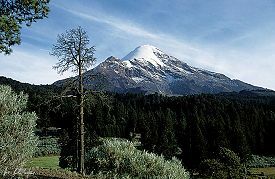 As such, the majority of the Mexican central and northern territories are located at high altitudes, and the highest elevations are found at the Trans-Mexican Volcanic Belt: Pico de Orizaba (5,700 m), Popocatépetl (5,462 m) and Iztaccíhuatl (5,286 m) and the Nevado de Toluca (4,577 m). Three major urban agglomerations are located in the valleys between these four elevations: Toluca, Greater Mexico City, and Puebla. Areas south of the twenty-fourth parallel with elevations up to 1,000 meters (the southern parts of both coastal plains as well as the Yucatán Peninsula), have a yearly median temperature between 24°C and 28°C. Temperatures here remain high throughout the year, with only a 5°C difference between winter and summer median temperatures. Although low-lying areas north of the twentieth-fourth parallel are hot and humid during the summer, they generally have lower yearly temperature averages (from 20°C to 24°C) because of more moderate conditions during the winter. Many large cities in Mexico are located in the Valley of Mexico or in adjacent valleys with altitudes generally above 2,000m, this gives them a year-round temperate climate with yearly temperature averages (from 16°C to 18°C) and cool nighttime temperatures throughout the year. Many parts of Mexico, particularly the north, have a dry climate with sporadic rainfall while parts of the tropical lowlands in the south average more than 200cm of annual precipitation. Mexico is one of the 17 megadiverse countries of the world. With over 200,000 different species, Mexico is home of 10–12 percent of the world's biodiversity. Mexico ranks first in biodiversity in reptiles with 707 known species, second in mammals with 438 species, fourth in amphibians with 290 species, and fourth in flora, with 26,000 different species. Mexico is also considered the second country in the world in ecosystems and fourth in overall species. Approximately 2,500 species are protected by Mexican legislation. The Mexican government created the National System of Information about Biodiversity, in order to study and promote the sustainable use of ecosystems. In Mexico, 17 million hectares are considered "Protected Natural Areas" which include 34 reserve biospheres (unaltered ecosystems), 64 national parks, 4 natural monuments (protection for its aesthetic, scientific or historical value in perpetuity), 26 areas of protected flora and fauna, 4 areas for natural resource protection (conservation of soil, hydrological basins and forests) and 17 sanctuaries. For almost three thousand years, Mesoamerica was the site of several advanced Amerindian civilizations such as the Olmec, the Maya and the Aztecs. In 1519, the native civilizations of what now is known as Mexico were invaded by Spain; this was one of the most important conquest campaigns in the Americas. Two years later in 1521, the Aztec capital of Tenochtitlan was conquered by an alliance between Spanish and Tlaxcaltecs, the main enemies of the Aztecs, setting up a three-century colonial rule in Mexico. The viceroyalty of New Spain became the first and largest provider of resources for the Spanish Empire, and the most populated of all Spanish colonies. 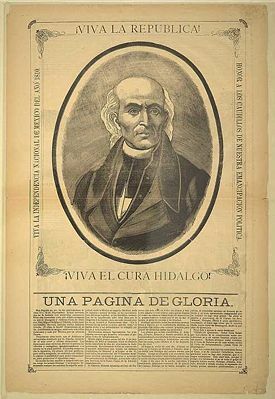 On September 16, 1810, independence from Spain was declared by Padre Miguel Hidalgo in the small town of Dolores, Guanajuato state, causing a long war that eventually led to recognized independence in 1821 and the creation of an ephemeral First Mexican Empire with Agustín de Iturbide as first and only emperor, deposed in 1823 by the republican forces. In 1824, a republican constitution was drafted creating the United Mexican States with Guadalupe Victoria as its first President. 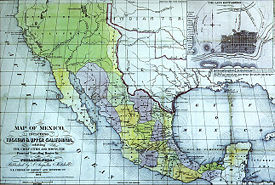 The first four decades of independent Mexico were marked by constant strife between federalists (those who supported the federal form of government stipulated in the 1824 constitution) and centralists (who proposed a hierarchical form of government in which all local authorities were appointed and subject to a central authority). General Antonio López de Santa Anna was a strong influence in Mexican politics, a centralist and a two-time dictator. In 1836, he approved the Siete Leyes (Seven Laws), a radical amendment to the constitution that institutionalized the centralized form of government, after which Texas declared independence from Mexico, obtained in 1836. The annexation of Texas by the United States created a border dispute that would cause the Mexican-American War. Santa Anna played a big role in trying to muster Mexican forces but this war resulted in the resolute defeat of Mexico and as a result of the Treaty of Guadalupe Hidalgo (1848), Mexico lost one third of its surface area to the United States. Dissatisfaction with Santa Anna's return to power, and his unconstitutional rule, led to the liberal Revolution of Ayutla, which initiated an era of liberal reforms, known as La Reforma, after which a new constitution was drafted that reestablished federalism as the form of government and first introduced freedom of religion. In the 1860s the country again underwent a military occupation, this time by France, which established the Habsburg Archduke Ferdinand Maximilian of Austria on the Mexican throne as Emperor Maximilian I of Mexico with support from the Catholic clergy and the conservative Mexicans. This Second Mexican Empire was victorious for only a few years, when the previous president of the Republic, the Zapotec Indian Benito Juárez, managed to restore the republic in 1867. Porfirio Díaz, a republican general during the French intervention, ruled Mexico from 1876–1880 and then from 1880–1911 in five consecutive reelections. The period of his rule is known as the Porfiriato, which was characterized by remarkable economic achievements and investments in art and sciences, but also of huge economic inequality and political repression. An obvious and preposterous electoral fraud that led to his fifth reelection sparked the Mexican Revolution of 1910, initially led by Francisco I. Madero. Díaz resigned in 1911 and Madero was elected president but overthrown and murdered in a coup d'état in 1913 led by a conservative general named Victoriano Huerta after a secret council held with the American ambassador Henry Lane Wilson. This re-ignited the civil war, with participants such as Pancho Villa and Emiliano Zapata who formed their own forces. A third force, the constitutional army led by Venustiano Carranza, managed to bring an end to the war, and radically amended the 1857 Constitution to include many of the social premises and demands of the revolutionaries into what was eventually called the 1917 Constitution. Carranza was killed in 1920 and succeeded by another revolutionary hero, Álvaro Obregón, who in turn was succeeded by Plutarco Elías Calles. Obregón was reelected in 1928 but assassinated before he could assume power. Shortly after, Calles founded the National Revolutionary Party (PNR), later renamed the Institutional Revolutionary Party (PRI) which became the most influential party during the next 70 years. During the next four decades, Mexico experienced substantial economic growth that historians call "El Milagro Mexicano," the Mexican Miracle. The assumption of mineral rights by the government, and the subsequent nationalization of the oil industry into PEMEX during the presidency of Lázaro Cárdenas del Río (1938) was a popular move, but sparked a diplomatic crisis with those countries whose citizens had lost businesses expropriated by the Cárdenas government. Although the economy continued to flourish, social inequality remained a factor of discontent. Moreover, the PRI rule became increasingly authoritarian and at times oppressive, an example being the Tlatelolco Massacre of 1968, which according to government officials, claimed the life of around 30 protesters, even though many reputable international accounts reported that around 250 protesters were killed by security forces in the neighborhood clash. In the 1970s there was extreme dissatisfaction with the administration of Luis Echeverría which took missteps in both the national and international arenas. Nonetheless, it was in this decade that the first substantial changes to electoral law were made, which initiated a movement of democratization of a system that had become electorally authoritarian. While the prices of oil were at historically highs and interest rates were low, Mexico made impressive investments in the state-owned oil company, with the intention of revitalizing the economy, but over–borrowing and mismanagement of oil revenues led to inflation and exacerbated the crisis of 1982. That year, oil prices plunged, interest rates soared, and the government defaulted on its debt. In an attempt to stabilize the current account balance, and given the reluctance of international lenders to return to Mexico given the previous default, President de la Madrid resorted to currency devaluations which in turn sparked inflation. The first small cracks in the political monopolistic position of PRI were seen in the late 1970s with the creation of 100 deputy seats in the Chamber of Deputies assigned through proportional representation with open party-lists. Even though at the municipal level the first non-PRI mayor was elected in 1947, it was not until 1989 that the first non-PRI governor of a state was elected. However, many sources claimed that in 1988 the party resorted to electoral fraud in order to prevent leftist opposition candidate Cuauhtémoc Cárdenas from winning the national presidential elections. He subsequently lost to Carlos Salinas, which led to massive protests in the capital. Salinas embarked on a program of neoliberal reforms which fixed the exchange rate, controlled inflation and culminated with the signing of the North American Free Trade Agreement (NAFTA), which came into effect in 1994. However, that very same day, the Zapatista Army of National Liberation (EZLN) began a short-lived armed rebellion against the federal government, and has continued as a non-violent opposition movement against neoliberalism and globalization. This and a series of political assassinations and corruption scandals scared portfolio investors and reduced foreign capital investment. Being an election year, in a process that was then called the most transparent in Mexican history, authorities were reluctant to devalue the peso, a move which caused a rapid depletion of the National Reserves. In December 1994, a month after Salinas was succeeded by Ernesto Zedillo, the Mexican economy collapsed. With a rapid rescue package authorized by U.S. president Bill Clinton and major macroeconomic reforms started by president Zedillo, the economy rapidly recovered and growth peaked at almost 7 percent in 1999. 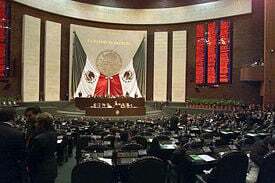 Democratic reforms under Zedillo's administration caused the PRI to lose its absolute majority in the Congress in 1997. In 2000, after 71 years the PRI lost a presidential election to Vicente Fox of the opposition National Action Party (PAN). 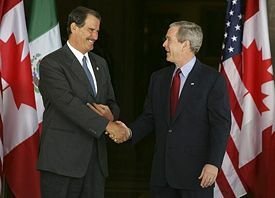 On March 23, 2005, the Security and Prosperity Partnership of North America was signed by Vicente Fox. During the 2006 elections, the PRI was further weakened and became the third political force in number of seats in the Chamber of Deputies after PAN and the Party of the Democratic Revolution (PRD). In the concurrent presidential elections, Felipe Calderón of PAN was declared winner, with a razor-thin margin over Andrés Manuel López Obrador of the Party of the Democratic Revolution (PRD). López Obrador, however, contested the election and pledged to create an "alternative government." The United Mexican States are a federation whose government is representative, democratic and republican based on a congressional system according to the 1917 Constitution. The constitution establishes three levels of government: the federal Union, the state governments and the municipal governments. All officials at the three levels are elected by voters through first-past-the-post plurality, proportional representation or are appointed by other elected officials. All elected executive officials are elected by plurality (first-past-the-post). Seats to the legislature are elected by plurality and proportional representation at the federal and state level. The Chamber of Deputies of the Congress of the Union is conformed by 300 deputies elected through plurality and 200 deputies by proportional representation with open-party lists for which the country is divided into 5 electoral constituencies or circumscriptions. The Senate is conformed by 64 senators, two per state and the Federal District, jointly elected by plurality, 32 senators assigned to the first minority (one per state and the Federal District) and 32 elected by proportional representation with open-party lists of which the country conforms a single electoral constituency. According to the constitution, all constituent states must have a republican form of government composed of three branches: the executive, represented by a governor and an appointed cabinet, the legislative branch constituted by a unicameral congress and the judiciary, also called a Supreme Court of Justice. Institutional Revolutionary Party (Partido Revolucionario Institucional, PRI): a center party that ascribes to social democracy, founded in 1929 to unite all the factions of the Mexican Revolution. Prominent politicians, both right-wing and left-wing, have been members of the party. Party of the Democratic Revolution (Partido de la Revolución Democrática, PRD): a center-left party founded in 1989 formed by the coalition of socialists and liberal parties, the National Democratic Front under the candidacy of Cuauhtémoc Cárdenas. The United Mexican States are a union of 31 free and sovereign states which form a Union that exercises jurisdiction over the Federal District and other territories. Every state has its own constitution and congress, and its citizens elect by direct voting a governor for a six-year term, as well as representatives to their respective state congresses for three-year terms. Mexican states are also divided into municipalities, the smallest official political entity in the country, governed by a mayor or "municipal president," elected by its residents by plurality. Constitutionally, Mexico City, as the capital of the federation and seat of the powers of the Union, is the Federal District, a special political division in Mexico that belongs to the federation as a whole and not to a particular state, and as such, has more limited local rule than the nation's states. Nonetheless, since 1987 it has progressively gained a greater degree of autonomy, and residents now elect a head of government (Jefe de Gobierno) and representatives of a Legislative Assembly directly. Unlike the states, the Federal District does not have a constitution but a statute of government. 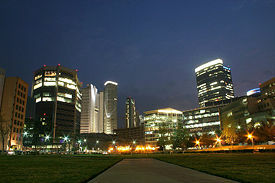 Mexico City is coterminous and coextensive with the Federal District. Traditionally, the Mexican government has sought to maintain its interests abroad and project its influence largely through moral persuasion rather than through political or economic pressure. Since the Mexican Revolution, and until the administration of President Ernesto Zedillo, Mexico had been known for its foreign policy known as the Doctrina Estrada (Estrada Doctrine, named after its creator Genaro Estrada). The Doctrina Estrada was a foreign policy guideline of an enclosed view of sovereignty. It claimed that foreign governments should not judge, positively or negatively, the governments or changes in government of other nations, in that such action would imply a breach to its sovereignty. This policy was said to be based on the principles of Non-Intervention, Pacific Solution to Controversies, and Self-Determination of all nations. However, it has been argued that the policy has been misused, as it was an implied international contract between the PRI-governments and foreign nations that Mexico would not judge what happened abroad, if other countries would not judge what happened in Mexico. During his Presidency, Vicente Fox appointed Jorge Castañeda to be his Secretary of Foreign Affairs. Castañeda immediately broke with the Estrada Doctrine, promoting what was called by critics the Castañeda Doctrine. The new foreign policy called for an openness and an acceptance of criticism from the international community, and the increased Mexican involvement in foreign affairs. However, after a series of foreign policy blunders, among which include Mexico's temporary rift with Cuba and criticism from many Latin American countries such as Argentina and Venezuela for adopting a pro-US stance with this doctrine, the Castañeda Doctrine was effectively discontinued. Mexico has a free market economy, and is firmly established as an upper middle-income country. It is the eleventh largest economy in the world as measured in Gross Domestic Product in purchasing power parity. Following the 1994 economic debacle, Mexico has made an impressive recovery, building a modern and diversified economy. Recent administrations have also improved infrastructure and opened competition in seaports, railroads, telecommunications, electricity generation, natural gas distribution and airports. Oil is Mexico's largest source of foreign income. Being one of the most open countries in the world, almost 90 percent of Mexican trade has been put under free trade agreements with over 40 nations, of which the North American Free Trade Agreement remains the most influential: close to 90 percent of Mexican exports go to the United States and Canada, and close to 55 percent of its imports come from these two countries. Other major trade agreements have been signed with the European Union, Japan, Israel and many countries in Central and South America. Ongoing economic concerns include the commercial and financial dependence on the U.S., low real wages, underemployment for a large segment of the population, inequitable income distribution, and few advancement opportunities for the largely Amerindian population in the impoverished southern states. Among the OECD (Organisation for Economic Co-operation and Development) countries, Mexico has the second highest degree of economic disparity between the extremely poor and extremely rich, after Chile. OECD also notes that Mexico's budgeted expenses for poverty alleviation and social development is only about a third of the OECD average – both in absolute and relative numbers. Lack of structural reform is further exacerbated by an ever increasing outflow of the population into the United States, decreasing domestic pressure for reform. Throughout the nineteenth century, the population of Mexico barely doubled. This trend continued during the first two decades of the twentieth century, and even in the 1920 census there was a loss of about 2 million inhabitants. The phenomenon can be explained because during the decade from 1910 to 1920 the Mexican Revolution took place. The growth rate increased dramatically between the 1930s and the 1980s, when the country registered growth rates of over 3 percent (1950-1980). Life expectancy went from 36 years (in 1895) to 72 years (in the year 2000). Between 2005 and 2010, the Mexican population grew at an average of 1.70 percent per year, up from 1.16 percent per year between 2000 and 2005. By 2017 Mexico had 123.5 million inhabitants, making it the most populous Spanish-speaking country in the world. In 2015, the foreign-born population was 1,007,063. The majority of these individuals were born in the United States and Mexico is home to the largest number of U.S. citizens abroad. After Americans the largest immigrant groups are Guatemalans, Spaniards and Colombians. Besides the Spanish, large immigrant-descended groups are the French, Germans, Lebanese and Chinese. There is no official language at the federal level in Mexico. Spanish, however, is used as a de facto official language and is spoken by 97 percent of the population. The General Law of Linguistic Rights of the Indigenous Peoples, however, grants all indigenous minority languages spoken in Mexico, regardless of the number of speakers, the same validity as Spanish in all territories in which they are spoken, and indigenous peoples are entitled to request some public services and documents in their languages. Along with Spanish, the law has granted them – more than 60 languages – the status of "national languages." The law includes all Amerindian languages regardless of origin; that is, it includes the Amerindian languages of ethnic groups non-native to the territory. As such, the National Commission for the Development of the Indigenous Peoples recognizes the language of the Kickapoo, which immigrated from the United States, and of those of the Guatemalan Amerindian refugees. Mexico has the largest Spanish-speaking population, having almost two times more speakers than the second Spanish-speaking country, accumulating almost a third of all Spanish speakers around the world. The Mexican government has promoted and established bilingual primary and secondary education in some indigenous rural communities. Approximately 6% of the population speaks an indigenous language and 3 percent do not speak Spanish. Nahuatl is spoken by 1.5 million and Yucatec Maya by 800,000. Some of the national languages are in danger of extinction. English is widely used in business, at the border cities, as well as by the one million United States citizens that live in Mexico, mostly retirees in small towns in Baja California, Guanajuato and Chiapas. Other European languages spoken by sizable communities in Mexico are Venetian, Plautdietsch, German, French and Romani. Unlike some other Latin American countries, Mexico has no official religion, and the Constitution of 1917 and the anti-clerical laws marked a great limitation on the Church and sometimes codified state intrusion into Church matters. The government does not provide any financial contribution to the Church, and the latter does not participate in public education. In 1992 Mexico lifted almost all restrictions on the Catholic Church, including granting all religious groups legal status, conceding them limited property rights, and lifting restrictions on the number of priests in the country. Until recently, priests did not have the right to vote, and even now, they cannot be elected to public office. Nonetheless, the Mexican population is predominantly Roman Catholic with over 80 percent reported as Catholic. In absolute terms, after Brazil, Mexico has the world's largest population of Catholics. About 6.7 percent of the population are Protestant, of whom Pentecostals and Charismatics (called Neo-Pentecostals in the census), are the largest group. Jehovah's Witnesses comprise 1.4 percent. The Church of Jesus Christ of Latter-day Saints claims over a million registered members, in almost 2,000 congregations. The presence of Jews in the country dates back to as early as 1521, when Hernando Cortés conquered the Aztecs, accompanied by several Conversos, Jews who converted to Catholicism to escape the Inquisition. According to the World Jewish Congress, there are now more than 40,000 Mexican Jews, primarily living in the Mexico City metropolitan area. Mexican culture is the result of a historical process of violent and peaceful exchange of ideas, the assimilation of various outside cultural elements and the reinterpretations of the native cultural elements. As was the case in most Latin American countries, when Mexico became an independent nation, it had to slowly create a national identity, being an ethnically diverse country in which, for the most part, the only connecting element among the newly independent inhabitants was Catholicism. The Porfirian era (el Porfiriato), in the second quarter of the nineteenth century and the first decade of the twentieth century, was marked by economic progress and peace which finally allowed, after four decades of civil unrest and wars with foreign nations, for the development of the arts and philosophy, which was promoted by President Díaz. Since that time, though accentuated during the Mexican Revolution, cultural identity had its foundation in the mestizaje, of which the indigenous (Amerindian) element was the core. In light of the various ethnicities that formed the Mexican people, José Vasconcelos in his publication La Raza Cósmica (1925) defined Mexico to be the melting pot of all races (thus extending the definition of the mestizo) not only biologically but culturally as well. This exalting of mestizaje was a revolutionary idea that sharply contrasted with the idea of a superior pure race prevalent in Europe at the time. 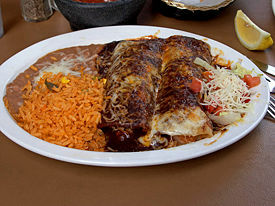 Mostly known internationally for its tacos, fajitas, quesadillas, and enchiladas, Mexican cuisine is extremely diverse. Regional dishes include mole poblano, chiles en nogada, and chalupas from Puebla; cabrito and machaca from Monterrey, cochinita pibil from Yucatán, Tlayudas from Oaxaca, as well as barbacoa, chilaquiles, milanesas, and many other dishes. Avocados, tomatoes, and maize (corn) were domesticated here thousands of years ago. Surrounded by two oceans, seafood, such as camarones and langostinos, plays an important part in the cuisine, often grilled a la parilla. Most of today's Mexican food is based on pre-Hispanic traditions, including the Aztecs and Maya, combined with culinary trends introduced by Spanish colonists. Quesadillas, for example, are a flour or corn tortilla with cheese (often a Mexican-style soft farmer's cheese such as Queso Fresco), beef, chicken, pork, and so on. The indigenous part of this and many other traditional foods is the chili pepper. Foods like these tend to be very colorful because of the rich variety of vegetables (among them are the chili peppers, green peppers, chilies, broccoli, cauliflower, and radishes) and meats in Mexican food. There is also a sprinkling of Caribbean influence in Mexican cuisine, particularly in some regional dishes from the states of Veracruz and Yucatán. Post-revolutionary art in Mexico had its expression in the works of renowned artists such as Frida Kahlo, Diego Rivera, José Clemente Orozco, Rufino Tamayo and David Alfaro Siqueiros, among others. Rivera is the most well-known figure of Mexican muralist, who painted the Man at the Crossroads in Rockefeller Center. Some of his murals are also displayed at the Mexican National Palace and the Palace of Fine Arts. Academic music composers of Mexico include Manuel M. Ponce, Mario Lavista, Silvestre Revueltas, Arturo Marquez, and Juventino Rosas, many of whom incorporated traditional elements into their music. Finally, Carlos Fuentes, Juan Rulfo, Elena Poniatowska José Emilio Pacheco, and the Nobel Prize winner Octavio Paz, are some of the greatest exponents of the Mexican literature. Some of their TV shows are modeled after American counterparts like Family Feud (100 Mexicanos Dijeron or "A hundred Mexicans said" in English) and Que Dice la Gente, Big Brother, American Idol, Saturday Night Live, and others. Nationwide news shows like Las Noticias por Adela on Televisa resemble a hybrid between Donahue and Nightline. Local news shows are modeled after American counterparts like the Eyewitness News and Action News formats. Border cities receive American television and radio stations, while satellite and cable subscription is common for the upper-classes in major cities, who often watch American movies and TV shows. The vast array of popular music genre in Mexico shows the great diversity of its culture. Endogenous music includes mariachi, banda, duranguense, norteño (grupero), ranchera and corridos. Contemporary music includes Mexican rock (or Rock nacional, represented, among many other, by Maná, El Tri, Molotov and Jaguares), heavy metal, rap, pop (like the group RBD), punk, reggaeton, and alternative music. Many Mexican singers are famous in all of Latin America and Spain. Mexico is often referred to as the "capital of Spanish-speaking entertainment," due to the fact that any Latin or Spanish singer wanting to become an international success in the region must seek to first enter the Mexican music industry. Mexico City hosted the XIX Olympic Games in 1968, making it the only Latin American city to do so. The country has also hosted the FIFA World Cup twice, in 1970 and 1986. The national sport of Mexico is Charrería, a festive event that incorporates equestrian competitions and demonstrations, specific costumes and horse trappings, music, and food. In 2016, Charrería was inscribed on the Representative List of the Intangible Cultural Heritage of Humanity.. Bullfighting is also a popular sport in the country. Almost all large cities have bullrings. La Monumental in Mexico City, is the largest bullring in the world, which seats 55,000 people. The most popular sport in Mexico, however, is football (soccer), which was introduced to Mexico by Cornish miners in the nineteenth century. Baseball is also popular, especially in the Gulf of Mexico and the northern states. The Mexican professional league is named the Liga Mexicana de Beisbol. But the most important baseball league in Mexico is the Liga Mexicana del Pacífico. The States of Sinaloa, Sonora and Baja California have this league, with the highest professional level. The players of this league play in the MLB in The USA, Japan and Korea. This league participates in the "Mini World Series" with teams from Venezuela, Puerto Rico and Dominican Republic in the "Caribbean Series." The most important professional basketball league is the Liga Nacional de Baloncesto Profesional and covers the whole Mexican territory. In 2007 three Mexican teams competed in the American Basketball Association. In the northwestern states is the CIBACOPA Competition, with professional basketball players from Mexico and the American Universities and some teams from the American NBA. American football is played at the major universities like ITESM (Instituto Tecnológico y de Estudios Superiores de Monterrey), UANL (Universidad Autónoma de Nuevo León), UDLA (University of the Americas), and UNAM. The college league in Mexico is called ONEFA. There is also a strong following of the NFL in Mexico with the Steelers, Cowboys, Dolphins and Raiders being the most popular teams. Rugby is played at the amateur level throughout the country with the majority of clubs in Mexico City and others in Monterrey, Guadalajara, Celaya, Guanajuato and Oaxaca. Professional wrestling (or Lucha libre in Spanish) is a major crowd draw with national promotions such as AAA, LLL, CMLL and others. Mexican films from the Golden Era in the 1940s and 1950s are the greatest examples of Latin American cinema, with a huge industry comparable to the Hollywood of those years. Mexican films were exported and exhibited in all of Latin America and Europe. Maria Candelaria (1944) by Emilio Fernández, was the one first films to be awarded Palme d'Or at the Cannes Film Festival in 1946, the first time the event was held after World War II. Famous actors and actress from this period include María Félix, Pedro Infante, Dolores del Río, Jorge Negrete and comedian Cantinflas. More recently, films such as Como agua para chocolate (1992), Cronos (1993), Amores Perros (2000), Y tu mamá también (2001), Pan's Labyrinth (2006) and Babel (2006) have been successful in creating universal stories about contemporary subjects, and were internationally recognized, as in the prestigious Cannes Film Festival. Mexican directors Alejandro González Iñárritu (Amores Perros, Babel), Alfonso Cuarón (Harry Potter and the Prisoner of Azkaban), Guillermo del Toro and screenwriter Guillermo Arriaga are some of the most known present-day filmmakers. 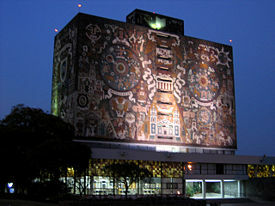 UNAM Central Library, in University City, Mexico City. Mexico has made improvements in education in the last two decades. In 2004, the literacy rate was at 92.2 percent, and the youth literacy rate (ages 15–24) was 96 percent. Primary and secondary education (9 years) is free and mandatory. Even though different bilingual education programs have existed since the 1960s for the indigenous communities, after a constitutional reform in the late 1990s, these programs have had a new thrust, and free text books are produced in more than a dozen indigenous languages. In the 1970s, Mexico established a system of "distance-learning" through satellite communications to reach otherwise inaccessible small rural and indigenous communities. Schools that use this system are known as telesecundarias in Mexico. The Mexican distance learning secondary education is also transmitted to some Central American countries and to Colombia, and it is used in some southern regions of the United States as a method of bilingual education. The largest and most prestigious public university in Mexico, with over 269,000 students in 2007, is the National Autonomous University of Mexico (Universidad Nacional Autónoma de México, UNAM) founded in 1551. Three Nobel laureates and most of Mexico's modern-day presidents are among its former students. UNAM conducts 50% of Mexico's scientific research and has a presence all across the country with satellite campuses and research centers. The UNAM ranks 74th place in the Top 200 World University Ranking published by The Times Higher Education Supplement in 2006, making it the highest ranked Spanish-speaking university in the world as well as the first Latin American university. 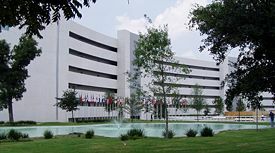 The most prestigious private university is Monterrey's Technological and Higher Education Institute (EGADE), which is ranked by the Wall Street Journal as the seventh top International Business School worldwide and was ranked 74th in the world's top arts and humanities universities ranking of The Times Higher Education Supplement published in 2005; it has 32 secondary campuses, apart from the Monterrey Campus. Other important private universities include Mexico's Autonomous Technological Institute (ITAM), Universidad de las Américas Puebla (UDLAP), the Ibero-American University (Universidad Iberoamericana). Notable Mexican technologists include Luis E. Miramontes, the co-inventor of the contraceptive pill, and Guillermo González Camarena, who invented the "Chromoscopic adapter for television equipment," the first color television transmission system. 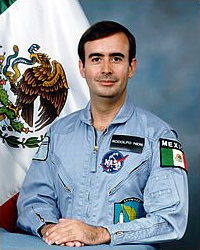 Rodolfo Neri Vela, an UNAM graduate, was the first Mexican in space (as part of the STS-61-B mission in 1985), and Mario J. Molina, who won the Nobel Prize in Chemistry. In recent years, the biggest scientific project developed in Mexico was the construction of the Gran Telescopio Milimétrico (GMT) or Large Millimeter Telescope (LMT), the world's largest and most sensitive single-aperture telescope. It is a bi-national collaboration between México and the U.S.A. The institutions leading this effort are the Instituto Nacional de Astrofísica, Óptica y Electrónica (INAOE) and the University of Massachusetts at Amherst (UMass) respectively. ↑ There is no actual official language at the federal stage in Mexico. About 95 percent of the population speaks Spanish, which is the de facto official language. The 2003 General Law of Linguistic Rights of the Indigenous Peoples considers Spanish as the national language while also recognizing all indigenous languages as national languages and equally valid only in territories where spoken. Languages in Mexico www.studycountry.com. Retrieved April 23, 2018. ↑ 2.0 2.1 2.2 2.3 CIA, Mexico World Factbook. Retrieved April 23, 2018. ↑ Political Constitution of the United Mexican States Title 2 Article 40 Retrieved April 23, 2018. ↑ 4.0 4.1 4.2 4.3 Mexico International Monetary Fund. Retrieved April 23, 2018. ↑ Gini Index - Mexico World Bank. Retrieved April 23, 2018. ↑ Manuel Aguilar-Moreno, Handbook to life in the Aztec world (New York: Facts on File, 2006, ISBN 0816056730). ↑ Arturo Tena-Colunga, The meaning of the word México University of Illinois at Urbana-Champaign, 1987. Retrieved April 23, 2018. ↑ (Spanish) El Sistema Nacional de Información sobre Biodiversidad de México (National system of Information on the Biodiversity in Mexico) Department of Natural resources of Mexico. Retrieved April 23, 2018. ↑ John H. Currie, Estrada doctrine, Public International Law 2/e. Retrieved April 23, 2018. ↑ List of Countries by Projected GDP, Statistics Times. Retrieved April 23, 2018. ↑ (Spanish) Perspectivas OCDE: México Reformas para el Cambio OECD, 2012. Retrieved April 23, 2018. ↑ México cuenta con 123.5 millones de habitantes Retrieved April 23, 2018. ↑ Principales resultados de la Encuesta Intercensal 2015 Estados Unidos Mexicanos INEGI, 2015. Retrieved April 23, 2018. ↑ American Citizens Living Abroad By Country US State Department, 2002. Retrieved April 23, 2018. 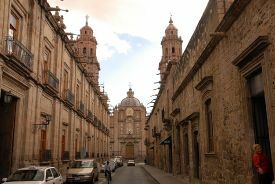 ↑ (Spanish) Ley General de Derechos Lingüísticos de los Pueblos Indígenas (General law of Linguistic Rights of the Indigenous Towns) Justia Mexico . Retrieved April 24, 2018. ↑ U.S. Dept. of State International Religious Freedom Report 2003 US Department of State, 2003. Retrieved April 24, 2018. ↑ Facts and Statistics: Mexico LDS Newsroom. Retrieved April 24, 2018. ↑ Mexico Virtual Jewish History Tour Jewish Virtual Library. Retrieved April 24, 2018. ↑ Mexico Jewish World Congress. Retrieved April 24, 2018. ↑ Charrería, equestrian tradition in Mexico UNESCO. Retrieved April 24, 2018. ↑ (Spanish) Rector: urgente, aumentar acceso a universidades (Director: urgent, to increase access to universities) El Universal. Retrieved April 24, 2018. ↑ Recruiter's Scoreboard Highlights from The Wall Street Journal Wall Street Journal. Retrieved April 24, 2018. ↑ Large Millimeter Telescope Retrieved April 24, 2018. (Spanish) Institute of Legal Investigations. Political Constitution of the United Mexican States, Retrieved April 23, 2018. The CIA World Fact Book. Mexico, Retrieved April 23, 2018. This page was last modified on 4 December 2018, at 00:27.